2:1 multiplexer/demultiplexers with high impedance outputs. from 0 V to 5 V.
the OFF condition, signal levels up to the supplies are blocked. 1. Wide –3 dB Bandwidth, 240 MHz. increased signal range that fully extends to the supply rails. 4. Low Leakage Over Temperature. 6. Crosstalk Typically –70 dB @ 30 MHz. 7. Off Isolation Typically –60 dB @ 10 MHz. 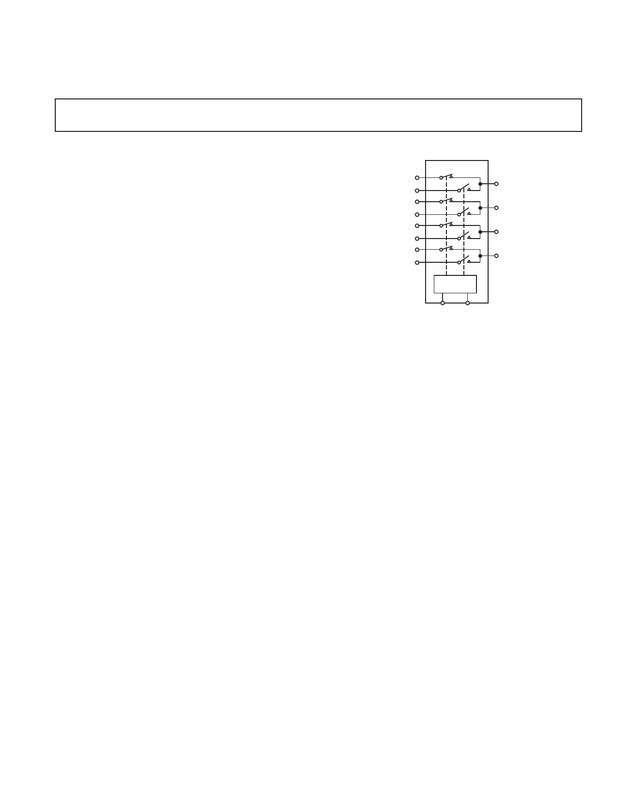 Fax: 781/326-8703 © 2004 Analog Devices, Inc. All rights reserved.